In my book Quick and Dirty Answers to the Biggest of Questions, I describe how Creative Systems Theory helps us address all manner of “ultimate questions”—big picture concerns that in times past have tended to leave us baffled. In other articles I’ve expanded on a couple examples touched on in the book, making sense of free will (see “‘Come On” Stephen Hawking: The Quandary of Free Will In an Apparently Deterministic Universe”) and the question of how the conclusions of science and religion ultimately relate (see Science and Religion—Toward a Larger Picture (and How Creative Systems Theory Gets Us Very Close). With this article I expand on what is arguably the most ultimate of ultimate questions: How do we best think about the whole shebang, existence in its entirety? Here CST would not immediately seem terribly pertinent. Its contribution lies with the human dimension, with who we are and how we understand. But in fact just that is what makes it particularly relevant. Understanding our conclusions about existence as a whole necessarily starts with understanding the cognitive lenses through which we make sense of our worlds. We can’t in the end know for sure what is “out there.” Indeed, as philosophers are quick to tell us, we can’t even be sure that there is an “out there” to know. But there is a lot we can say about understanding and understanding’s evolution. CST addresses why through history we have thought not just about ourselves, but also about the physical and the biological, in the specific ways that we have. And of particular importance for these reflections, it proposes that there is a lot we can say about how understanding today is changing. Why did Descartes see a clockworks universe? And why, before that, did people in the Middle Ages see a universe ordered by religious principles? What they understood reflected how they understood. And today that evolution continues. Descartes clockworks universe is proving less and less sufficient. 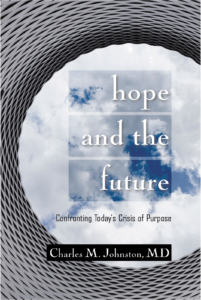 CST helps us understand why and why the world as we are beginning to see it has the characteristics that it does. CST’s interpretation starts with the observation that our times are challenging us to think in more encompassing and complete—more “culturally mature”—ways, this in all parts of our lives. Culturally mature understanding is a product not just of new ideas, but specific cognitive changes. The new kind of perspective it draws on—what CST calls Integrative Meta-perspective—lets us more fully step back from and at once more deeply engage the whole of our human complexity. CST sees changes over the last century with regard to how we conceive of existence as a whole in terms of this new chapter in how we understand (and ultimately in who we are). Integrative Meta-perspective replaces Age of Reason formulations in which truth reduced to rationality and simple causes-and-effect relationships with ways of thinking that are more systemic and also more dynamic. It reveals a world that is more complexly interwoven and often contradictory-seeming and even mysterious than what we have known. And increasingly it is also a world in which change, and often change of a generative/evolutionary sort, becomes inherent to how things work. We could say a world that is more “creative.” But as always with CST, we need to be careful with how we use the term. Creative is but a “good enough” word to describe something for which we as yet lack adequate language. As CST applies the term it is not about art any more than science or about the inspired beginnings of things any more than the hard work of completion. It is about formative process at its most fundamental and how its role in human understanding orders experience. Arguably, when we apply the word “creative” to existence as a whole we need to take particular care. In times past we’ve tended to make existence a mirror of how we thought (as we witnessed with the Age of Reason’s rationalistic lens) or to see the world in terms of denied and projected aspects of ourselves (as we witness with views that denigrate nature, make it only dark and dangerous). If we are not careful, we can fall pray to a related trap and make the whole of existence creative in the same sense we are as humans. Fortunately culturally mature perspective assists us here too. Its overarching vantage helps us better distinguish ourselves from what we wish to understand and recognize when projections intrude. Integrative Meta-perspective helps us appreciate the rich interconnections and often provocative generativities of existence as a whole. It also highlights the very different ways the physical, the biological, and the human can each be thought of as “creative.” Just for fun, we could call the encompassing picture that results the “Big Band Theory” of existence. A simple observation sets the stage for looking at specific changes in our understandings of the physical, biological, and human spheres. CST describes how it has been in our natures through history to think in the language of polarity—material versus spiritual, masculine versus feminine, objective versus subjective, and more. The theory offers an explanation of why this has been so. It proposes that what makes us unusual as creatures is our toolmaking, meaning-making—we could say simply “creative”— prowess. It goes on to describes how human intelligence is structured to support these striking creative capacities. It turns out that the generation of polarity is inherent to how creative/formative processes in human systems work (see The Evolution of Polarity). One of the most defining characteristics of culturally mature understanding is that it leaves behind the polarized beliefs of times past. This is something we are beginning to see. The best of new thinking over the last century has left behind traditionally dualistic assumptions. This change has been most striking in physics as the before wholly separate worlds of matter and energy, time and space, and the observer set at arm’s length from the observed have given way to more integrative ways of understanding. But it has been just as significant when it comes to living systems as ideas that make cut-and-dried distinctions between mind and body, anatomy and physiology, competition and cooperation, or conscious and unconscious become much less useful. A couple overarching polarity-related observations provide particular help when it comes to appreciating how our picture of existence as a whole is changing. The first relates to how it has been our tendency in times past to divide existence itself into polar worlds. We’ve done this in different ways depending on when in history we look. We’ve also done it in different ways depending on whether our basic inclinations tend more toward the material/scientific or spiritual/religious side of things. In modern times, science has tended to divide existence into animate and inanimate, lumping together ourselves and the creaturely and setting them in contrast to a “dead” world of rocks and rivers. Religion has tended more to set the human species separate, make it in some way “chosen” with dominion over the rest of creation. Note that along with dividing existence in separate worlds, we’ve tended to emphasize the significance of one pole while diminishing, or even denigrating the other. With Cultural Maturity’s cognitive changes, we come to see existence in its entirety more systemically—more as a whole. We also come to better grasp how the various layers/levels of existence are different. We better appreciate the unique ways each manifests as an aspect of that larger picture. The second overarching polarity-related observation concerns change and just how it happens. Every cultural period has had it creation stories, explanations for how what we see around us came to exist. For the Dogan tribe of Mali its is the tale of how Amma broke the Egg of the World. In the creation story of the ancient Mayans as told in the Popol Vuh, multiple deities came together to bring existence into being. Christianity has its Hebrew Genesis. Modern science has its Big Bang. In addition, every cultural period has had its explanations for why things work as they do day to day—both why things change and why too they are as stable as they often are—from the whims of gods to Descartes’ image of a clockworks universe. Here too past explanations have been dualistic. They’ve posited some separate driving impetus, be it in earliest times an animistic force, or with modern, more mechanistic thinking, an action with its equal and opposite reaction. And here too how we understand is changing. Increasingly we find thinking that makes change and stability together aspects of larger ways of understanding. Dualistic formulations—both of the extreme type that posits a separate animating force and of the more mundane sort that juxtaposes separate causes and effects—are giving way to more encompassing and dynamic ways of thinking. And often dynamic refers not just to having more moving parts, but to being somehow generative. Change and the coherence through which we identify something as something become parts of a single larger, “self-organizing” picture. Put these two overarching, polarity-related observations together and we get a first-cut look at our new understanding of the big picture. Our times challenge us to leave behind past dualistic assumptions and polar projections and think in more encompassing ways. When we do, we better appreciate the complex interconnections and dynamic change processes that mark existence as a whole. We also better appreciate the unique ways that various layers/levels of existence give this more “creative” picture expression. That last observation is worth special note because it implies a further way this picture takes us beyond usual ways of thinking. It suffices for our purposes to keep things simple and talk in terms of the three levels that everyday thought suggests: there is inanimate creation; there is life; and there is this odd addition, conscious life (including ourselves and to lesser degrees other higher life forms). Seen through the lens of culturally mature perspective, these layers/levels become fundamentally linked—aspects of an encompassing whole. But we also find increased appreciation for how each is different from the others. Limited to how we commonly think, this result could seem paradoxical. I find the image of Neapolitan ice cream helpful for getting at what is new in this result (pardon the mixed metaphor—I can’t think of a musical analogy that works quite as well). Rather than wholly different categories, we get a reality in which each layer/level is at once the same stuff (like ice cream) and wholly different. Arguably, what we see even stretches this metaphor. The various layers/levels are not just different in kind (as with flavors), they reflect distinct levels of organization. The systems concept of “emergent properties” helps us complete the needed stretch. Emergent properties are characteristics unique to a set of systemic relationships. In the new picture, each level is defined/separated/joined by an emergent property—in this case existence (in contrast to non-existence), life, and the capacity for conscious reflection. CST’s creative frame helps put flesh on this bare-bones description. CST argues for a more explicitly “creative” picture of existence as a whole. Instead of ice cream, the “same stuff” becomes creation. It also offers a more filled-out way to think about different layers/levels of existence and how they relate. Framed creatively, what differentiates these emergent realities is the amount of creative information each inherently embodies. Each new layer/level is distinguished by a “creative multiplier” (or several creative multipliers working together) that radically increases the rate at which creative reorganization can take place. In the case of life, this creative multiplier is natural selection and the learning/adapting capacities that come with life’s workings. In the case of ourselves, the multiplier is the option of fresh creation happening with every new “aha” that arises with conscious awareness and our unique toolmaking, idea-making, meaning-making prowess. The innovations that separate the various layers of existence qualitatively increase the amount of creation/formativeness each succeeding layer is capable of embodying/manifesting. Let’s look more closely at the various layers/levels in this new picture. With each main level of existence—the physical, the biological, and the human—we see new characteristics that point toward a more complex and dynamic, more specifically “creative” reality. In each case we find a deeper appreciation for interconnectedness, change manifesting as a intrinsic attribute of that systemic level’s functioning, uncertainty playing a newly integral role, and dynamics that can seem contradictory limited to usual ways of thinking. The most recognized twentieth-century challenge to the modern age worldview came with Albert Einstein’s 1905 elucidation of special relativity. Special relativity provocatively links the before separate worlds of time and space. It was followed in 1915 with general relativity and its more systemic approach to understanding gravity—a phenomenon that always before had been thought as separate and mysterious. Einstein did not consider his formulations a threat to prevailing fundamental assumptions—and rightly. Both special relativity and general relativity leave mechanistic/deterministic thinking intact. But Einstein’s physics colleagues, and ultimately the general public, also rightly came to view these contributions as revolutionary. Contributions at the biggest of cosmic scales would prove similarly radical. Edwin Hubble’s demonstration that the universe is expanding required that science abandon its previous picture of a stable, eternally constant universe. (Here again, Einstein had to set aside assumptions. In later writings he described his inclusion of a constant in his early calculations designed to keep the appearance of a stable universe his greatest mistake.) The Big Bang Theory—the idea that the universe in fact had a beginning, and a dramatic one—followed from these essential observations. In the new picture, creation rather than being either created or timeless and ever-present, became inherent to the larger story of existence. Ideas from the emerging “sciences of complexity” are worth noting both for their contributed to the physical realm’s more dynamic picture and for their contributions to common confusions. Chaos Theory, the most familiar example, demonstrates how simple equations can produce not only highly complex results, but results that defy prediction. In another way we see inescapable uncertainty. The sciences of complexity let us model numerous phenomena that before have defied analysis—cloud patterns, the flow of rivers, and even the shapes of leaves. Because these equations produce nondeterministic results yet have their roots in mechanistic formulations, the sciences of complexity have proved attractive simultaneously to those interested in the possibility of new ways of thinking and those who remain committed to an ultimately mechanistic world view. I should add one more recent contribution from physics: the phenomenon known as “entanglement.” It turns out that subatomic particles that are linked by virtue of being complementary can remain linked even when separated by significant distances. The connection is not causal in a traditional sense. And it is immediate—not limited by the speed of light. While entanglement was originally assumed to require proximity, recent experiments done between an orbiting satellite and the earth suggest that distance is not an obstacle. Entangled links are fragile and easily disrupted, but the phenomenon of entanglement has rich potential applications in both communication and computing. It also raises fascinating questions about the nature of connectedness in the universe and just how connected things may be. Arguably biology’s newly “creative” picture began even earlier—with Charles Darwin’s 1859 publication of Origins of Species and Gregor Mendel’s 1866 publication of his work with pea plants that demonstrated the actions of “invisible factors” that we now call genes. Evolutionary biology presents a picture of life in which creation, rather than something that happens to life, is understood as following in an ongoing way from the nature of life. Ecological thought, first formally introduced with explorations of food webs and food cycles in the 1920’s, added important further pieces to biology’s new picture. Today it so familiar to us that we can miss its radical significance. Both interconnectedness and change are intrinsic to ecological thought. Increasingly it has become second nature for biologists to think in terms of communities and ecosystems and the interplaying life cycles of organisms and populations. Neither of these contributions in biology—at least in their early forms—fundamentally challenged mechanistic assumptions (the best of thinking today in both evolutionary and systems biology begin to do so). But new attention brought by biologists to an age-old question confronted the classical picture directly. That question: What is life? A person might think that the answer would be obvious for a biologist. But in fact if you ask one he or she is likely to either just look at you strangely or refer you to a philosopher. Historically, the life question has been answered in a couple of different ways. Extending Descartes’ clockworks picture, people have thought of life as just a very complex kind of machine. Looking further back in history we find dualistic explanations that locate life’s source in some separate animating force—from Aristotle’s “unmoved mover;” to, in medieval times, a soul, distinct from the body, that determines action; to more recently with nineteenth-century vitalism, a life-giving energy such as Henri Bergson’s elan vital. Early systems thinkers in the middle of last century argued that life is necessarily more than just a machine and that dualistic explanations more generally necessarily leave us short. They proposed that somehow we must understand living systems as systems, integrated “self-organizing” wholes. Biologist Wilhelm von Bertalanffy’s presented the first formal explication of this kind of perspective with his 1940 book General Systems Theory. His thinking emphasized the need for new kinds of concepts if we are to understand life and introduced the essential notion of “open systems.” Open systems depend on a continued influx of matter and energy and maintain themselves in highly dynamic states far from equilibrium. (Living things eat and expel the remains, with the energy difference fueling the organism’s ongoing self-maintenance and self-organization). Von Bertalanffy failed in his dream to develop a formal mathematics of living systems. But the fresh attention he bought to the “what is life” question and his emphasis on the role of open systems each made critical contributions. The ideas of two systems theorists, Gregory Bateson and Humberto Maturana have special pertinence to CST’s approach because of how each interpreted the role of cognition. In different ways, both arrived at the same critical recognition: The question of life and the question of cognition (when we think in terms of cognition at it most fundamental—the capacity to in some way make sense of and act in one’s world) are in the end the same question. Understand understanding deeply, both agreed, and in the process we will have understood life. More recent contributions from biology have added a further important cognition-related insight. In the past our pictures of cognition were centralized—put metaphorically they were Copernican. Brains ran bodies, DNA ran cells. In the new picture cognition becomes a complex product of the system as a whole. Note that eukaryote cells (cells that don’t yet have nuclei—and thus DNA) nonetheless engage in quite complex “cognitive” processes. For example, their cell membranes make an array of highly nuanced yes-and-no “decisions” with regard to what will be let in and what will not. We are better recognizing how, in a similar way, cells with nuclei along with the many cells, tissues, and organs of more complex organisms often engage their worlds through complexly networked and often highly decentralized informational processes. Another contribution to life’s emerging picture has particular historical significance because it creatively links life and the simply physical. Thermodynamic chemist and complexity theorist Illya Prigogine won the 1977 Nobel Prize for adding a critical missing piece to the recognition that living systems are open systems. He demonstrated how certain non-living open systems could also be shown to self-maintain and self-organize. Prigogine’s work contributed to an increasing consensus among scientists that the emergent property we call life, rather than being a rare, perhaps one-off chance occurrence, may be, if not almost inevitable, certainly more readily achieved than we have before assumed. It may be less likely than we have thought that we are alone in the universe. Biology’s version of today’s more systemically interconnected, often mysterious and contradictory, uncertainty-permeated picture has deepened and filled out considerably in recent decades. For example, increasingly we are recognizing how creatures of all sorts are more complex and complexly intelligent than we have before assumed. We are also better appreciating how evolution is as much about cooperative as competition, and not just cooperation with one’s own kind, but also between species (think of the increasingly recognized role of bacteria in our gut—they keep us healthy and we in turn keep them nourished and alive). Of particular significance, the question of what it means to think about living systems in living terms is being recognized by more and more biologists as not just legitimate, but pivotal to effective understanding. I’ve introduced how CST starts out with explicitly creative assertions about human life. It proposes that what makes us unusual as creatures is the audacity of our toolmaking, meaning-making—we could say simple “creative”— proclivities. And it describes how human intelligence is structured specifically to support and drive creative/formative process. The theory proceeds to add nuance and detail to this creative picture. It delineates how we can understand all manner of phenomena—such as the human experience of meaning, how human developmental processes progress, and how it is that different one’s of us think and act as differently as we do—in terms of patterns that follow from the ultimately creative nature of human intelligence. We find precursors to this kind of understanding in the best of early thinking in psychiatry, psychology and sociology. While many of Sigmund Freud’s conclusions don’t hold up well to modern scrutiny, his emphasis on the fact that much that it most important in being human functions out of conscious awareness had major significance. The old picture tied rationality with awareness and made the two of them together the final seat of choice and purpose. The idea of an unconscious directly challenged these assumptions and with them the kind of thinking that had given us the modern clockworks worldview. We can understand the history of twentieth century psychiatry and psychology as a gradual inquiry into all that necessarily goes into a more complete picture of human cognition. Key figures include Carl Jung with his special emphasis on the mythic and imaginal dimensions of intelligence, Wilhelm Reich with his focus on the intelligence of the body, Harry Stack Sullivan and later humanistic thinkers such a Carl Rogers with their fresh thinking about human relationships and emotional functioning, and transpersonal contributors such as Abraham Maslow who brought new attention to exceptional capacities and the spiritual dimension. In the middle part of the century, the German Gestalt psychologists first applied formal systems thinking to the human sphere. It was Gestalt theorist Kurt Koffka who gave us the now familiar phrase, “the whole is larger than the sum of its parts.” Systems thinking gained further acknowledgement in psychology and psychiatry with the advent of family therapy approaches in the 1970‘s and 1980’s. The importance of bringing systems perspective to the psychological is today further supported by advances in cognitive science that have accompanied technical innovations such as advanced imaging techniques. One increasingly recognized conclusion is particularly pertinent to this more complex, uncertainty-permeated, self-organizing picture. It appears that conscious awareness, rather than being located in some particular part of the brain, is more accurately an emergent capacity of our neurology as a whole. To briefly summarize: Cultural Maturity’s cognitive reordering makes it possible to see beyond the polarized assumptions of times past and think in more encompassing, complex, and nuanced ways. The picture of existence as a whole that results is both more systemically interconnected and more inherently generative than how we have thought things to be in times past. The worlds of the physical, the biological, and of more conscious creatures such as ourselves come to reflect emergent systemic levels within this more encompassing systemic picture. CST’s creative frame helps bring detail to this way of thinking. Existence as a whole—at least as we can know it—becomes in an important new sense “creative.” And what makes layers/levels different can similarly be thought of in creative terms. Framed creatively, succeeding layers are distinguished by “creative multipliers” that produce quantum leaps in the rate at which creative reorganization can take place. This interpretation is different from from what we are used to in multiple ways. Certainly it is different in how it is more encompassing, more of a whole. It is also different in the specific application of a creative frame. I’ve described how it is different too in how it views the relationship of the big picture and it parts. I used the Neapolitan ice cream metaphor to point toward this further difference. Parts become an expression of something larger—in this case creation as something creative. But we don’t just lump parts together. We continue to recognize that they are different. Indeed we better appreciate those differences. In what might seem a contradiction, the same new way of understanding that helps us better see interconnectedness also helps us more fully grasp just what is distinct and how deep those distinctions in fact are. This last difference is something we characteristically encounter with Cultural Maturity’s cognitive changes. Gender offers a good example. Culturally mature perspective helps us appreciate how past assumed polar differences between men and women were based more on projection than on real differences (see A New Meaning for Love). At the same time it helps us get beyond the common postmodern assumption that apparent differences are products only of conditioning. It helps us more directly engage what it means to be embodied as a man or as a woman (and as a unique man or woman). That an interpretation both increases our appreciation for interconnectedness and brings real differences alive provides a good litmus test for its success as culturally mature conception. It is important to distinguish the picture CST suggests from interpretations with which it could be confused. I think of two basic kinds of big-picture interpretations that might seem similar but which in fact differ fundamentally. CST argues that neither kind of interpretation ultimately help us when it comes to the kind of understanding needed for the future. I’ve noted that many of the examples I have cited conform quite well to a mechanistic worldview. Because they do, they can—and often are—used to argue for more overarching explanation. In this regard, I think in particular of Chaos Theory and the broader “sciences of complexity.” I’ve described how, while the new picture they present takes us beyond classical determinism—uncertainty gains an essential role—the underlying equations remain mechanistic. The fact that they allow us to model phenomena that we associate specifically with living processes—I mentioned the shapes of leaves—can be used to argue for the conclusion that we can now successful describe everything in mechanistic terms. It is likely that a major reason that we have found these new kinds of mathematical formulations compelling is that they produce results that remind us esthetically of a creative picture. I suspect that it is also the case that we would not have made these discoveries without the beginnings of Cultural Maturity’s cognitive changes. But that is very different from concluding that we can reduce a creative picture to mathematics. The debate over whether mechanistic explanation is sufficient continues today even at the cutting edge of scientific inquiry. For example, both “string theory” and “multiverse theory” in physics present complex formulations that are ultimately consistent with the mechanistic conclusions of classical thought. That they are is part of what makes them attractive to many people. As seen from the perspective of CST, it is also a legitimate reason to question their conclusions. The second kind of trap is most common with people of more spiritual or religious inclinations. It represents what CST calls a Unity Fallacy (again see Polar Fallacies). Unity Fallacies side with the connectedness half of ultimate polarity. This second kind of trap has a couple of common forms. The first confuses a creative picture with the conclusion that the universe as a whole is somehow “alive.” This Unity Fallacy example involves projecting the attributes of one creative layer/level—the animate—onto the whole of existence. There is nothing new about doing so. It is common in pantheistic thought from tribal times to Spinoza. Today we see more limited version of this trap with views that make the whole of the earth as a system “alive.” More accurately, the earth is a complex, self-maintaining/self-organizing system, that includes life as one part of that complexity. The second kind of Unity Fallacy confuses a creative picture with the conclusion that universe as a whole is somehow “conscious.” Here it is a uniquely human characteristic that is projected onto existence as a whole. The idea that consciousness permeates existence in its entirety is common with new age thought and with popular interpretations of Native American belief and Eastern philosophy. Again, such thinking is not at all new. We find versions with any cultural time or locale where more spiritual/mythical beliefs prevail. CST affirms that existence is more interconnected than we have thought. But this is not at all the same as concluding that it is conscious. It is important to reemphasize that CST does not claim to tell us what is “actually out there.” Its contribution lies with understanding the implications of how human cognitive processes work. Personally, I’m willing to go a little further. In contrast to many theorists with more postmodern inclinations, I am comfortable making the leap that there is in fact something “out there” to understand—if for no other reason than that intelligence would have little reason to be if there wasn’t. I am also comfortable with the conclusion that ideas such as these that are products of culturally mature perspective take us a bit closer to what “actually is.” In part this is because each step in understanding’s evolution appears to have done so. It is also because of how Integrative Meta-perspective produces understanding that is inherently more encompassing than what we have known in times past. We might also expect it to be more complete. A creative frame invites conjecture with regard to a related but more specific eternal quandary: our place in the larger scheme of things. We can put this question in science-versus-religion terms. From a scientific viewpoint, we can appropriately ask—as many great thinkers have asked—“Are we but a speck in an essentially purposeless universe, an odd momentary impulse of no real ultimate significance?” Or do we better think of ourselves as God’s special children, as most religions through time have somehow seen us? A creative perspective offers a third option—neither quite so random nor quite so grand, but arguably more intriguing. Reframed, the question becomes, What is our place and significance in creation?—as creation becomes what “the scheme of things” is ultimately about. A creative interpretation emphasizes that not all creation is the same and proposes that the answer to our question lies in just how this is so. Interpretations of times past have tended either to idealized the human—make us separate and special—or simply lumped us together with life more generally. I’ve described how a creative interpretation offers that it may all be more like Neapolitan ice cream. Our place in the larger scheme of things? At the least we represent a fascinating bit of creative innovation (with the jury far from in on just how ultimately successful). If we want to feel a bit more special, we could claim ours to be a particularly significant sort of creative innovation. We are the only creature, at least on our particular earth, that is not just consciously aware, but aware of itself as part of something that has evolved and continues to evolve. In an interesting sense, through us, creation, not just as fact but as process, has become conscious of itself. In a way, this interpretation makes our human achievement even more remarkable. But it also makes it more tenuous, more explicitly “experimental.” It is quite possible that exactly that which makes us special—our great creative prowess—will be our undoing. Our time on the planet has been extremely short (compared to say the dinosaurs—for us 300,000 years with civilization a product of only the most recent 20,000, compared to 180 million years for the dinosaurs). And with growing frequency, modern invention, and human choice more generally, has dangerously two-edged potential consequences. CST’s developmental/evolutionary perspective has critical pertinence to the question for what may transpire in the future. In our time, the human creative “experiment” continues, and in ways that have major implications for its ultimate success. Cultural Maturity describes the possibility—and necessity—of a more aware and more deeply engaged relationship with our creative, toolmaking, meaning-making natures. Homo sapiens sapiens—“man the wise”—is perhaps coming to better deserve his audaciously proclaimed status (proclaimed twice over for emphasis). 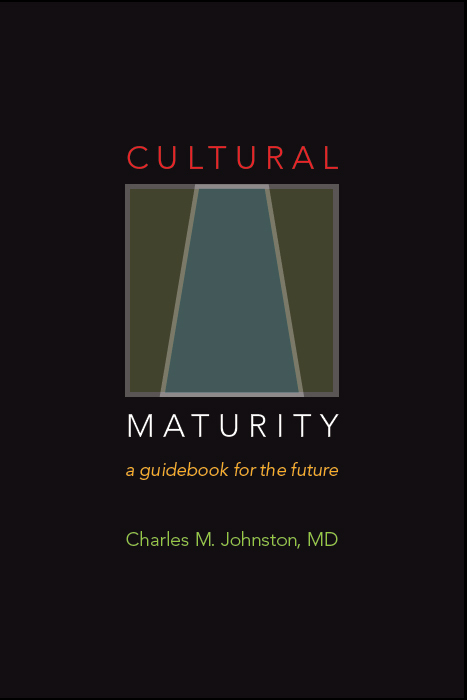 If the concept of Cultural Maturity is accurate, certainly our continued creative well-being, and perhaps our survival, depends on it.